CarGurus, a leading consumer automotive car shopping website, today announced it has named Kia of Portland a “2017 CarGurus Top Rated Dealer.” The annual CarGurus Top Rated Dealer awards are presented to a select group of car dealerships that have received the highest average ratings from shoppers who have submitted dealership reviews on the CarGurus platform. CarGurus uses shoppers’ dealership ratings as well as comprehensive valuation analytics to help shoppers search their local marketplace and find great car deals from top-rated dealers. 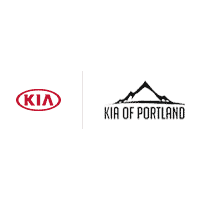 Kia of Portland also has plenty of used cars and certified used cars. Portland area dealer inventory includes car makes and models from a variety of manufacturers. Pre-owned vehicles usually include Certified Kia in excellent condition that are backed by limited warranty. Check for used car specials at our Portland dealership, including cars for sale under $12,000. Our Kia Service Center is equipped with state-of-the-art diagnostic equipment and staffed by expert technicians trained in all aspects of servicing Kias. Portland-area coupons are often available for an oil change, brake inspection, battery check, wheel alignment and more. A full range of Kia service is also available, from regular vehicle maintenance to auto body repair. We use genuine Kia parts and accessories to keep your car in top condition. The Kia of Portland financing department is available to answer your questions and provide leasing and finance options at our Kia dealer near Portland. Kia lease or financing can be easily arranged by our dealership professionals. Be sure to take a look at our Kia specials and factory offers on new luxury cars for sale.